Zdzisław Pawlak was brought up in Łódź, a city south west of Warsaw. His father was fond of wood carving and he gave his young son a love for art. In particular, his father helped him develop a skill in painting which the boy loved. Throughout his life he would paint scenes from places he visited in the same way that others might use a camera. He attended primary school in Łódź and was preparing to begin his secondary education when Germany invaded Poland on 1 September 1939. Quickly the city came under sustained attack and was captured by the Germans on 8 September. The annexed city was renamed Litzmannstadt after the German general who captured it during World War I. Many Poles were forced to work for German firms at this time, particularly to contribute to the German war effort. One such firm was Siemens engineering company and Pawlak was forced to work for them. It was a difficult time for the young lad who had to work in poor conditions. He was able, with difficulty, to continue with his education as well so, after the war ended, he was fairly soon in a position to take the final high school examinations as an external candidate. The Germans left Łódź in January 1945 and Russian troops entered the city. In 1946 Pawlak, now twenty years old, took his high school examinations and, in the following year began to study in the Electrical Engineering Faculty of the Łódź University of Technology. The Łódź University of Technology was only founded in May 1945 and so it was a very young institution when Pawlak began his studies there. It had originally been in temporary accommodation but a permanent site was formed around the former Rosenblatt factory. The Electrical Engineering Faculty was one of the first faculties to be founded. Pawlak studied there from 1947 to 1949 before going to study at the Faculty of Telecommunications of the Technical University of Warsaw. In 1950, after one year of study, he submitted his first project which was the design of a computer he named GAM-1. The group GAM (Group for Mathematical Machines in Polish) had been founded by Kazimierz Kuratowski in 1949 and was headed by the logician Henryk Greniewski (1903-1972). Other members of the team were Romuald Marczyński (1921-2000), Krystyn Bochenek (1922-1966) and Leon Łukasiewicz (1923-2013). All these influenced Pawlak, in particular Marczyński and Bochenek who both acted as his advisors at different stages of his studies. My first experience of scientific work occurred in 1951 at the State Mathematical Institute, where, after graduating from the Warsaw University of Technology, a group of scientists headed by engineer Romuald Marczynski was building the first Polish computer. This group was called "Mathematical Machines Group" (GAM). Dealing with a totally new area of science, both in Poland and all over the World, I found myself in an unusual situation for a fresh graduate of the University of Technology. At that time, the only existing computer (as we know them now) was located at the Cambridge University. We, the builders, had a complete lack of knowledge, literature and, the most important, skilled 'masters' that would be able to lead our group of inexperienced, young scientists. There was a large group of outstanding, world renown mathematicians working at the Institute of Mathematics of the Polish Academy of Sciences including Professors Karol Borsuk, Wacław Sierpiński, Kazimierz Kuratowski, Andrzej Mostowski, Roman Sikorski, Jerzy Łoś, Stanisław Mazur, Andrzej Grzegorczyk, and others. However, the area of computing machines, which is how computers were then called, was of no interest to them. Work at the Institute of Mathematics gave me an opportunity to interact with many great mathematicians, even from the outside of the Institute, for instance Professors Helena Rasiowa, Kazimierz Ajdukiewicz, Hugo Steinhaus, Klemens Szaniawski, and others. Moreover, thanks to the work at the Institute, I had the opportunity to meet some of the greatest mathematicians of the 20th century, including Alfred Tarski, Stanisław Ulam, Samuel Eilenberg, Alonzo Church, Leon Henkin, Dana Scott, László Kalmar, Alfréd Rényi, Rózsa Péter, Andrey Kolmogorov, Boris Trakhtenbrot, Boris Gnedenko, Andrei Markov, Andrei Tikhonov, and others. These contacts had no direct impact on my scientific development but the atmosphere dominating the Institute and daily contacts with eminent scholars indirectly influenced my personal scientific interests a lot. In the case of dealing with our team' s specific problems, everybody had to find his own solution. Actually, this had some advantages, because it left us a significant area of independence, but today, I tend to think that disadvantages of that situation overwhelmed its positive sides. The aim of the present note is to show that a well known electronic element of digital computers, the flip-flop, may be used for generating a series of random binary digits with equal probabilities. Other publications around this time include: Do they think, or not? Principles of operation of digital machines (Polish) (1956), and (with A Wakulicz) Use of expansions with a negative basis in the arithmometer of a digital computer (1957). Between 1957 and 1959, he worked at the Warsaw University of Technology, at the Chair and the Section of Telecommunications and Radio Broadcasting, which was a very active research and construction projects centre, concerned with digital electronics (called impulse technology then) and "computing machines" ... . In 1956, a computing machine called PARK (designed by Gerard Kudelski) was built there. Based on the experience gathered during the construction of reliable, complex electronic devices in the 1950s, the PARK group attempted to build its own "mathematical machine." 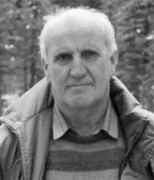 Professor Pawlak played a crucial role in the project. Under his supervision and according to his design, an experimental computing machine was built at the Warsaw University of Technology. Its innovation consisted of using the positional numeral system with a negative radix (-2) and the concept of microinstruction. Based on Professor Pawlak's ideas, an Electronic Digital Machine and, later (after Pawlak's transfer to the Mathematical Institute of Polish Academy of Sciences), a prototype (1960) and five machines of the test series of Universal Digital Machine (UMC-1) were built. ... Although the period of Professor's work [on UMC] between 1957 and 1959 may appear short, it was of crucial importance for the Warsaw University of Technology, the Faculty and especially for the department which was later transformed into the Institute of Computer Science (in 1975.) It was the beginning of digital and electronic computing techniques development (the contemporary name of Computer Science). Research and development work done then resulted in the long-term development plan of the Department. It also contributed to the fact that the Department was one of the first few centres of Computer Science. ... After his transfer from the Department to the Institute of Mathematics, Pawlak's involvement with the personnel of the Department continued. He organised a seminar devoted to problems of contemporary computer science and digital electronics (researchers from the Warsaw University of Technology were also involved in the seminar). Moreover, Professor taught students specialising in building of mathematical machines and worked with many graduates from the Department and the Faculty of Electronic Engineering. The atmosphere there was very informal ... and this informality and relaxed atmosphere certainly appealed to people like myself. The audience was, unlike in other seminars, very diverse: logicians, probabilists, philosophers, computer scientists and even medical researchers. A number of papers devoted to automated theorem proving were read there. Let us record the details of the rest of Pawlak's career. He was an Associate Professor at the Institute of Mathematics of the Polish Academy of Sciences from 1971 and, also from that date, he was Deputy Director of Science at the Polish Academy of Sciences' Computer Centre. In 1978 he became a full Professor at the Institute of Computer Science of the Polish Academy of Sciences. The Computer Centre had been renamed the Institute of Computer Science in 1976. He was elected a corresponding member of the Polish Academy of Sciences in 1983 and became a full member in 1991. In addition to these, however, Pawlak held other positions. He was director of the Institute of Informatics of the Silesian University of Technology from 1979 to 1986; he worked at the Institute of Theoretical and Applied Informatics of Polish Academy of Sciences in Gliwice from 1985; he was the director of the Institute of Computer Science of the Warsaw University of Technology from 1989 to 1996; and he also worked at the University of Applied Computer Science and Management in Warsaw from 1998. From set theory point of view, rough set theory is one of known escapes from "Cantor's paradise". It is based on the observation that knowledge about objects of a given universe is granular - objects described with the same information are indiscernible and form the so-called elementary sets, i.e. the granules of knowledge about the universe. If we want to express a concept concerning a given set of objects in the terms of knowledge about the universe, to which the objects belong, we generally encounter a situation that the considered concept cannot be precisely expressed using the available granules; in other words, the union of elementary sets having nonempty intersection with the given set of objects is not equal to the set. This given set or concept may be expressed approximately only, using a pair of classical sets called the lower and the upper approximation - the lower approximation is the union of all such elementary sets (granules) which are entirely included in the given set, the upper approximation is the union of all the granules which have a nonempty intersection with the given set. The difference between the upper and the lower approximation is called the boundary region, which consists of the vague objects, those impossible to resolve with certainty whether they belong or do not belong to the considered set. Distinguishing between the certain knowledge, represented by the lower approximation, and doubtful knowledge, represented by the boundary region, has a crucial impact on the reasoning process. Rough set theory is complementary to fuzzy set theory and soft computing. Together they provide the best available today tools for analysis of data bearing some kind of "imperfectness", such as vagueness, ambiguity, imprecision, incompleteness, and uncertainty. The paper analyzes some properties of decision rules in the framework of rough set theory and knowledge discovery systems. With every decision rule two conditional probabilities are associated, called the certainty and coverage factors, respectively. It is shown that these coefficients satisfy the Bayes' theorem. This relationship can be used as a new approach to Bayesian reasoning, without referring to prior and posterior probabilities, inherently associated with classical Bayesian inference. Decision rules are implications and the relationship between implications and Bayes' theorem first was revealed by Łukasiewicz in connection with his multivalued logic. Among the honours he received we mention the Polish State awards of the Chivalry Cross (1984) and Officer's Cross of the Polonia Restituta Order (1999). He was awarded an honorary doctorate from the Poznań University of Technology in 2002. His paintings capture various moments in the four seasons in the Polish countryside and offer his perception of the symmetries and singular beauty of the woods, gently rolling terrain, farmland furrows, waterways, lakes, and shorelines found in parts of Poland. He was a gifted painter. In fact, he was extraordinarily perceptive in his rendition of the changing face of the woods that border lakes and waterways that he visited. We give four examples of his paintings at THIS LINK. Zdzisław was a true renaissance man, with many interests besides computer science he produced artistic short movies, wrote poetry, but also did practical things. Whatever he did the same enthusiasm and pervasive optimism present in his scientific work demonstrated itself in his actions. I, of course, benefited when he decided to build a shower stall in my small cottage in the country. Certainly the contrast between an academician living in "ivory tower" and a mason with his bricklayer trowel could not be bigger. Among many passions Zdzisław had was antique restoration. Like everything he did, this passion was contagious. So, when he and I brought to my apartment in Warsaw a round table bought in a consignment store (and in obvious need of restoration) my family was not pleased, and I had a new occupation for few months. I recall discussing with Zdzisław heating water using solar energy (yes, this was in 1970s!) and other innovations. Zdzisław Pawlak gave generously of his time and energy to help others. His spirit and insights have influenced many researchers worldwide. During his life, he manifested an extraordinary talent for inspiring his students and colleagues as well as many others outside his immediate circle. For this reason, he was affectionately known to some of us as Papa Pawlak.